More than 35 years later, the factors shaping the U.S.-China dynamic have changed beyond all recognition, and both countries face considerable uncertainty over how to reorient their relationship. Although both Chinese President Xi Jinping and U.S. President Barack Obama have emphasized the significance of keeping bilateral ties on track, critical infrastructure to support that objective has eroded. Given their common security disagreements with Washington, Russia and China are being pushed together again and they seemingly share more security interests than do the U.S. and China. The role of trade and economic ties, meanwhile, long regarded as the ballast for U.S.-China relations, is becoming increasingly negative due to the widening discord over exchange rates and China’s ambition in expanding its influence within regional economic and financial systems, a move perceived by the U.S. as a challenge to its dominance. U.S. scholars and strategists often prefer to attribute China’s changing pattern of behavior to its growing power, rather than to any occasional burst of nationalism or efforts to defend its legitimacy. Either way, given all these changes, it’s natural that fluctuations in U.S.-China relations are being viewed with far greater seriousness today. In the recent debate within the U.S. over whether Washington’s grand strategy toward China should change, it is noteworthy that some rational scholars have sought to draw attention to the dangerous shift in mutual perceptions. In David Lampton’s words, “The tipping point is near. Our respective fears are nearer to outweighing our hopes than at any time since normalization.” This anxiety about the relationship is well justified, both by the louder voices in America advising a tougher policy to counteract China’s assertive behavior and its threat to U.S. primacy in Asia-Pacific, and by China’s burgeoning tendency to see the U.S. as the main impediment to its stability and rejuvenation. In this atmosphere, Xi’s visit to the U.S. is destined to be more mission oriented than those of his predecessors. Handling U.S.-China relations in the era of China’s rise is itself a tough task and it would be historic to show the world how an emerging and existing power achieve peaceful coexistence, or co-evolution in the words of certain Chinese scholars. For this purpose, Xi Jinping has put forward a proposal to construct a “new type of great power relations” with the U.S. Unfortunately, feedback on the idea has been chilly. Nevertheless, it is not important that the U.S. accept this new concept; what really matters is that both countries can achieve new relations in the true sense. It is true that the two powers have many interests in common, especially in areas of global governance, such as climate change, terrorism and non-proliferation. This is taken by more optimistic observers as strong justification for U.S.-China cooperation. However, close cooperation on these issues will not guarantee the peaceful resolution of the disputes between them, such as the wrestling over maritime and cyber issues and the inevitable scramble for financial and economic influence, all of which can be reduced to the redistribution of power and reset of international orders or norms. In considering all these fundamental changes to the bilateral relationship, some strategists in China argue that U.S.-China relations should focus more on the “pluses” than on the “minuses,” which sounds convincing but underestimates the potential risk of setting aside the disputes, especially during a period of power redistribution or power transition in which both the emerging and status quo powers are constantly haunted by mutual distrust and fear. Addressing the distrust and fear should be a key mission for both leaders. Doing so would have historic meaning, both for U.S.-China relations and for a chaotic world. The question, though, is how. First, it’s quite understandable that China as a rising power would attempt to defend some of its vital interests at a minimum level, even if in the past it used to sacrifice them out of weakness or other considerations, such as domestic stability or a positive international environment. Nor should the U.S. be criticized for seeking to maintain its dominant position in the region; that inclination is based on a realpolitik principle that holds for now. China and the U.S. have no choice but to strike a new deal on how to protect China’s vital interests without undermining the dominance of the U.S. or its credibility within the alliance system. That will in turn require crisis control and compromises by both parties for a peaceful redistribution of power and rights. Second, the traditional pattern of China conceding its interests to the so-called larger picture of U.S.-China relations is increasingly infeasible. When the U.S. is no longer capable of handling regional or global issues on its own, it creates a long-term disconnect between power and international order, which is unsustainable. Perhaps if China did make the concessions the U.S. expected it would alleviate tensions in U.S.-China relations for the short term, but it would be unrealistic to expect a rising power to be taken advantage of or to maintain a status quo that rarely works in its favor, while simultaneously being asked to take on more responsibilities. This is not simply arguing for the interests of China; it also draws on lessons from past conflicts. Both leaders should bear in mind that the new model needs to be built on a new balance of power and psychological expectations, rather than on unilateral concessions by one party. 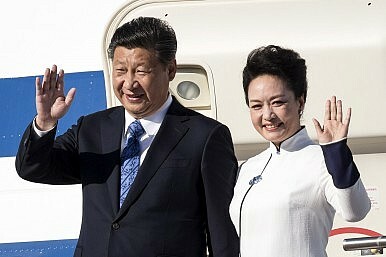 Finally, we should temper our expectations of Xi’s visit. In contrast to Deng’s visit to the U.S. in 1979, the lack of a common enemy deprives the bilateral relationship of an obvious direction. Until a new consensus or equilibrium is reached, the two powers must manage their disputes while seeking cooperation where it is possible. If the leaders of the U.S. and China are not clearly aware of the arduousness of this long process, any visit or top-level communication will only add to their illusion, putting the two countries on an undesirable path. In that sense, the significance of Xi’s visit to the U.S. and his handling of U.S.-China relations lies in these challenges and in the lack of precedent. Qi Hao is an assistant research fellow at the Institute of American Studies, Chinese Academy of Social Sciences. He also served as deputy director of Asia-Pacific security center at the Institute of Modern International Relations, Tsinghua University.